In the past Gymnasium Cup broke through different frontiers. Now they’re at it again! 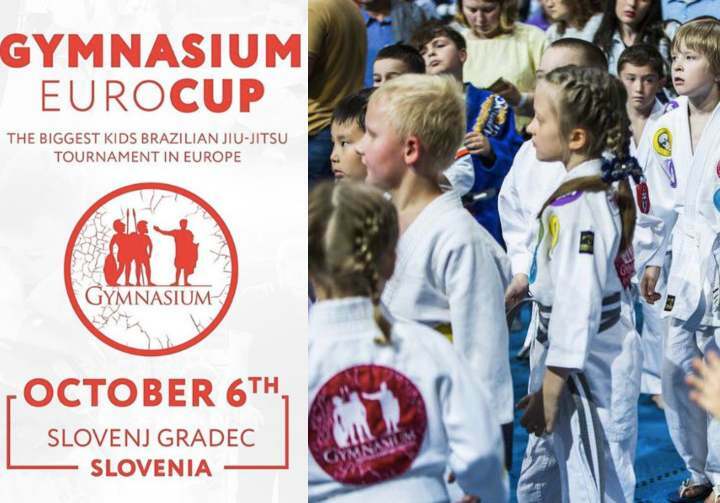 The biggest kids Brazilian Jiu-jitsu tournament in Europe is coming to Slovenia on October 6th 2018! The first Gymnasium Euro CUP is waiting for us! This is the first time that such an event for children is being organised in Europe. This has never happened before. There will also be an adult competition at the event. In the ADULT Divisions the contest will be held in the format of the Gymnasium absolute. Absolute weight categories for Adult white, blue, purple, brown and black belts. That’s a real challenge! During the last six years you could already see the way the Gymnasium Championships were held in Russia. Every tournament was able to gather about a thousand young athletes and create the most competitive conditions for them. Last time in Moscow there were more than 1300 participants from 4 y.o. It will be IBJJF rules tournament. Submissions are allowed for age groups from 2011 and older. For children under the age 2012 the joint locks and chokeholds are prohibited. IBJJF Rules for everyone except kids 2012 and younger , they roll without submission . Only points. 60 euro – Late registration 16th of September – 30th of September . If you cancel you registration 1st or 2nd of October you can get back only 50% . Entrance fee for spectators and parents – FREE. Transfers are available from the airports of Ljubljana , Zagreb and Vienna. Cash prizes only for adult divisions!